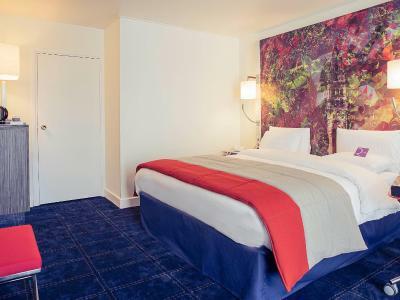 Lock in a great price for Mercure Lille Métropole – rated 8.7 by recent guests! The bed was very big and comfortable. The room was big and had a couch and a desk. The bathroom had a bath tub which was big enough to fit 2 persons. I had been in this hotel several times before and excellent reception, nice & clean room, good breakfast and cooperative service are still its most outstanding characteristics. 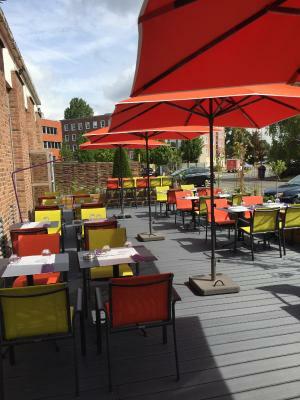 The currently for a transition phase used restaurant with terrace is an excellent solution, but I hope the menu -offer will in the future return to the same or even better diversity and quality of the - then modernized - good old former bistro! Nice breakfast and overall good impression - quite, comfortable, no any issues to be mentioned. 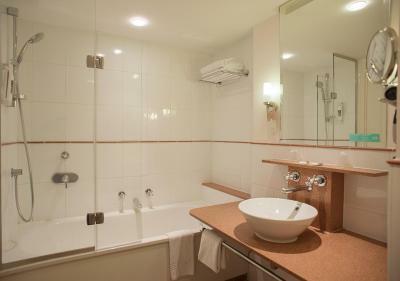 The room and hotel itself is very typical for standard european four-star hotel - good, modern, commonplace. I have stayed in this Hotel numerous times to my full satisfaction before, and nowadays it has even improved by modernization of the rooms and very competent personnel at reception and in all service functions. Nice quiet location out of the city centre. clean comfortable room and friendly helpful staff. 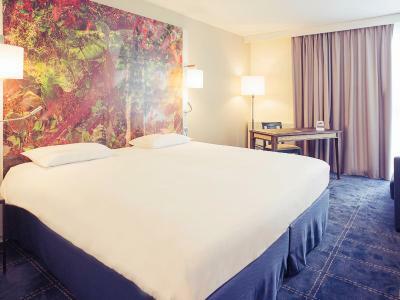 With a sauna and a fitness center, Mercure Lille Métropole is 10-minutes from central Lille by tram, and a 5-minute drive from the Euralille business district and the train stations. 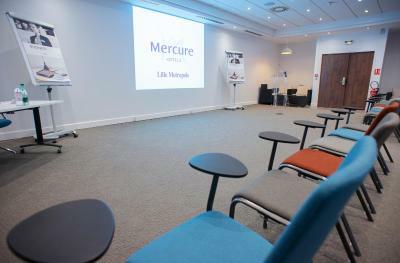 The Mercure Lille Métropole offers spacious with a flat-screen satellite TV and Wi-Fi internet access. Free private parking is provided in the Mercure’s spacious car park. 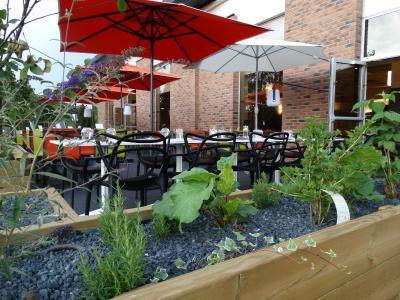 You can sample international and regional cuisine at the hotel’s brasserie L'Europe. The Ascot bar serves meals and cocktails, accompanied by musical entertainment. The friendly and attentive staff at the Mercure Lille Métropole will be happy to help you organize your stay in Lille 24 hours a day. This property is also rated for the best value in Marcq-en-Baroeul! Guests are getting more for their money when compared to other properties in this city. 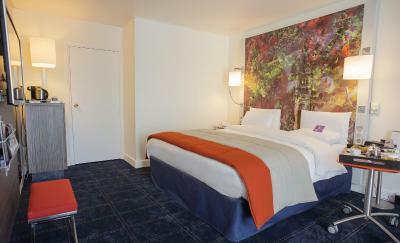 When would you like to stay at Mercure Lille Métropole? This air-conditioned room features a flat-screen TV with satellite channels, a telephone and a radio. 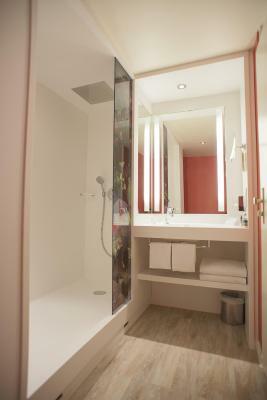 The private bathroom includes a rain shower and hairdryer. Extras include a mini-bar, Nespresso coffee machine, bathrobe and slippers. This air-conditioned room features a flat-screen TV with satellite channels, a telephone and a radio. The private bathroom includes a hairdryer. 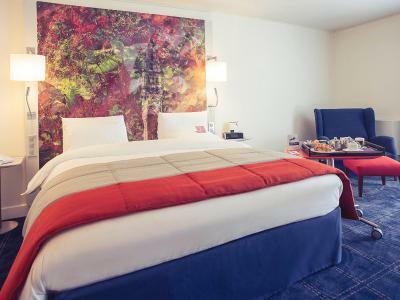 House Rules Mercure Lille Métropole takes special requests – add in the next step! Mercure Lille Métropole accepts these cards and reserves the right to temporarily hold an amount prior to arrival. Please note that an additional city tax of EUR 0.10 will be charged per person and per night. Great hotel on the outskirts of Lille but only 15 mins on tram. Only one bedside table on a bed 6 ft wide ???? only one bottle of water for two people , room was very hot , reception looked like a tent !! the staff on reception tried to tell us that only one bedside table was normal . This is corporate cost saving taken to totally ridiculous levels . It will be one towel next !!! Badly designed hotel ( its had a makeover ) restaurant soulless and expensive food tasteless . Wont go back despite it being very convenient for us . I think we had one of two connected rooms that were separated by a door and we could hear everything from our neighbours but this was not such a big problem because we didn’t spend so much time in the hotel. Location is very inconvenient - outside the city (near the belt highway), nothing is around; if you are travelling with the public transport, without a car, it would be a bad idea to choose this hotel.